Regent Law are estate administration experts and are here to help you with the administration of your loved one's estate in Whangarei, the greater Northland area or in fact anywhere in New Zealand. Contact us now to discuss how we can help you through this difficult time. 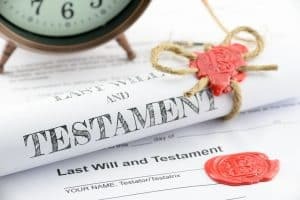 Estate administration includes the process of applying for probate of the deceased’s Will, or letters of administration if there is no Will, and then administering the estate property on behalf of the executor or administrator and distributing the estate in accordance with the Will or rules of intestacy. Below is a summary of the legal services we commonly provide in a general estate administration matter (please note some items may vary depending on the work required). Much of the work can technically be carried out by the executor or administrator of the estate – however, during this stressful time, it can be more convenient and less stressful to have a professional look after this time consuming work. It is difficult to accurately estimate our fee in estate administration matters, as all estates are different. Our fee can range from anywhere from $1,000 to $10,000 or above depending on the work required. Our fee is therefore charged based on time spent at our staff hourly rates. However, as a ball park figure, obtaining probate is usually around $2,000 and administrating an estate often comes in around $6,000 plus GST and disbursements. Estate matters require a retainer payment of $1,000 at the time of engagement. This is to cover our initial costs including the High Court filing fee of $200. Take instructions from you and discuss the Will and Estate administration formalities generally. Gather information from all relevant sources including Land Information New Zealand, banks, and other miscellaneous entities, in order to compile a comprehensive list of assets and liabilities. If relevant, discuss issues with your accountant concerning tax matters, GST, etc. Obtain any necessary supplementary information such as asset valuations from appropriate sources. Draft application for Probate or Letters of Administration and supporting affidavit(s). Discuss these documents with the Trustees and arrange for signing. File the documentation with the relevant High Court Registry. If necessary, draft and attend on you for signing of an Application for Transmission by Survivorship for any jointly owned land. If necessary, draft and attend you on signing of an Application for Transmission in respect of any other land. Liaise with all relevant organisations including share registries, banks, insurance companies, Bonus Bonds Centre etc and complete all necessary transfers, indemnities, declarations of loss etc to distribute those assets and give effect to the terms of the Will. If necessary, liaise with the Trustees and individual beneficiaries regarding the purchase of Estate assets by individual beneficiaries. If necessary, using funds from the sale or redemption of assets to pay the funeral and any other accounts. Ensure that your accountant (or one of our choosing if you do not have one) completes all necessary tax returns and other IRD formalities. On distribution, prepare comprehensive reporting statements and arrange for all Trustees and Beneficiaries to sign Deeds of Distribution and Indemnity (if appropriate). The above scope of work is subject to change once we have received instructions and reviewed the documentation provided us. If there is a Trust involved and we will provide a further scope of work moving forward once we have reviewed the documentation and determined what needs to be undertaken in relation to the Trust. It is likely that a separate file will need to be set up in the name of the Trust for the completion of trust work.